Tina Zulu knows kimonos. 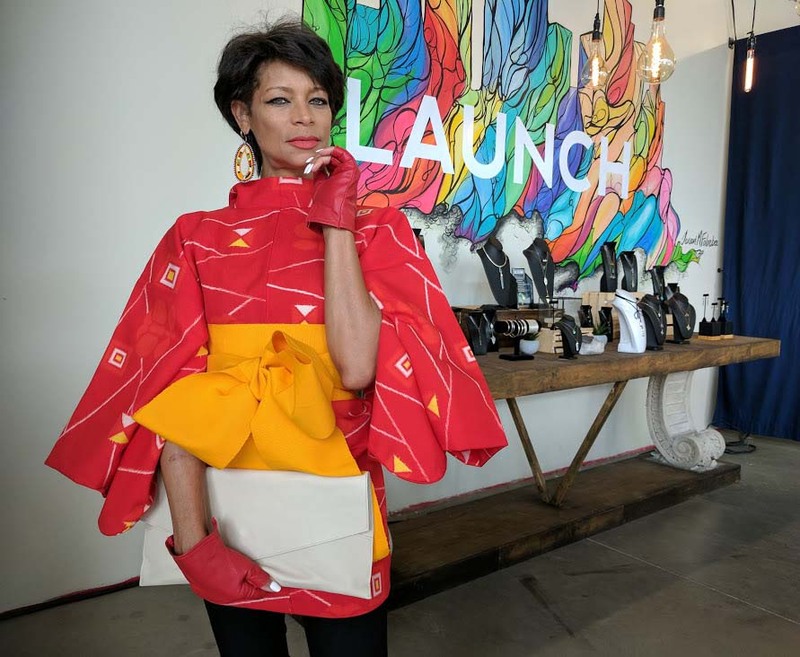 The niche market PR and branding guru launched her passion project- Kimono Zulu – September 2016, and it has been growing organically ever since. 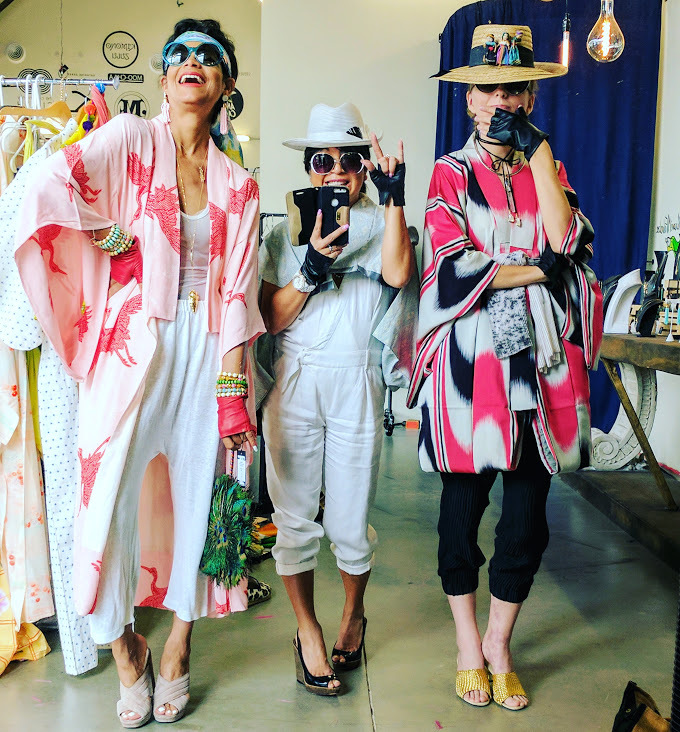 She officially launched at Launch HTX, and currently hosts pop-ups, trunk shows, and even offers kimono playdates; one of which happened while I was visiting Houston a couple months ago. 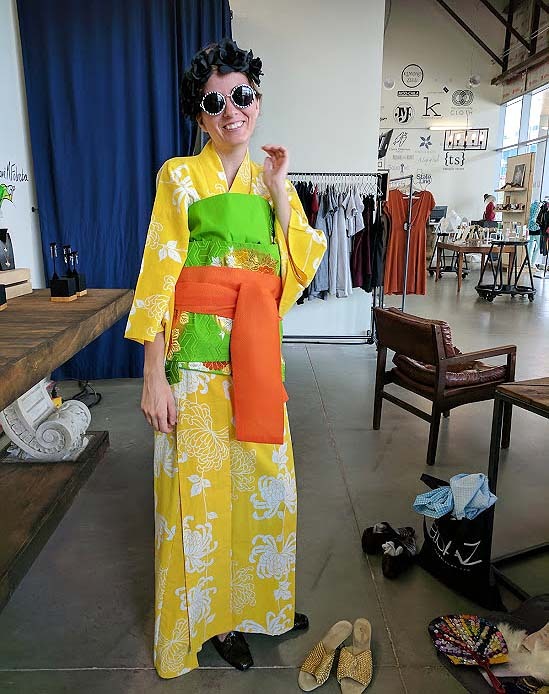 I met up with Tina, along with the brand’s muse- Zoe “Fashion Plate” at Launch, where the kimonos were set up on a clothing rack. Tina also brought along other fun props and accessories. 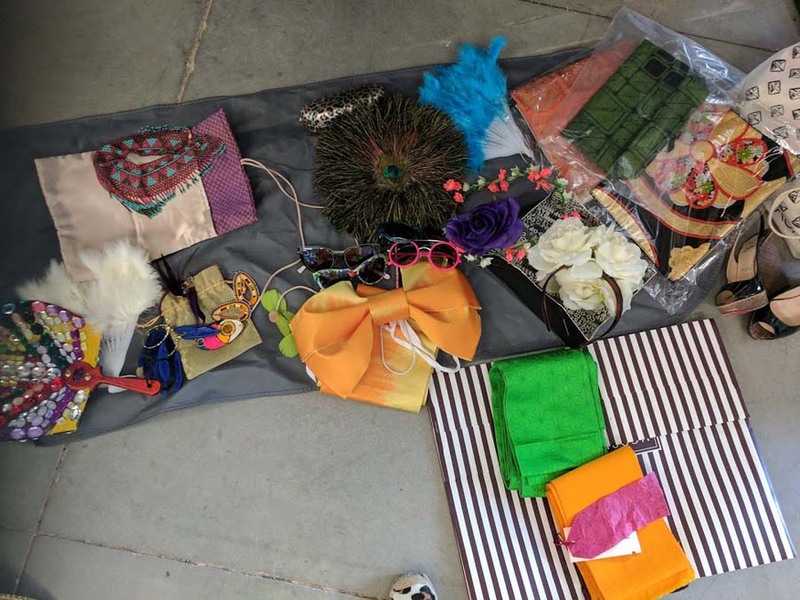 We also utilized some pieces from Launch HTX, such as: gloves from Inclan Studio, bracelets from Burdlife, handbags from Magpies & Peacocks, and necklaces from Modern Artifacts. As you can see from the photos, we clearly had a blast! 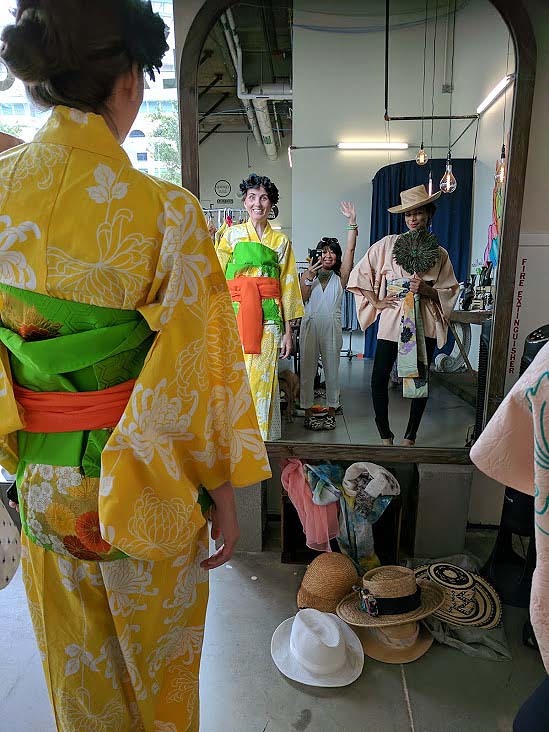 So the concept of Kimono Zulu was born….. 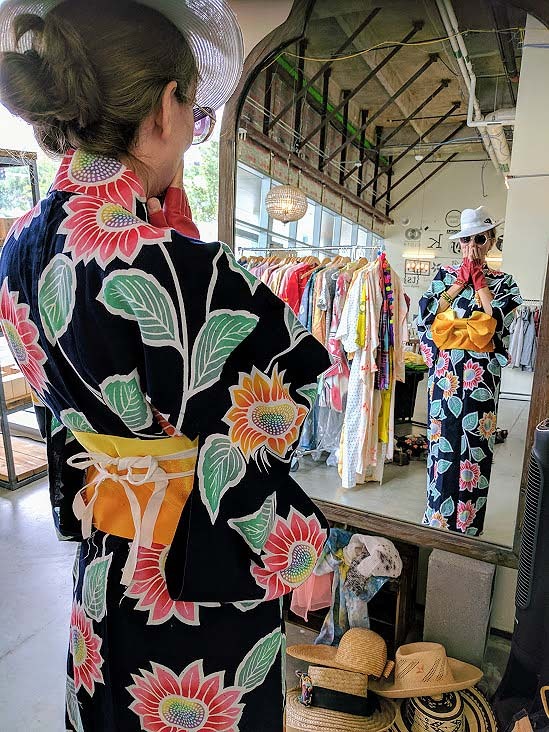 Since launching, the brand has collaborated with several fashion designers and multimedia artists to reimagine and embellish vintage kimonos. 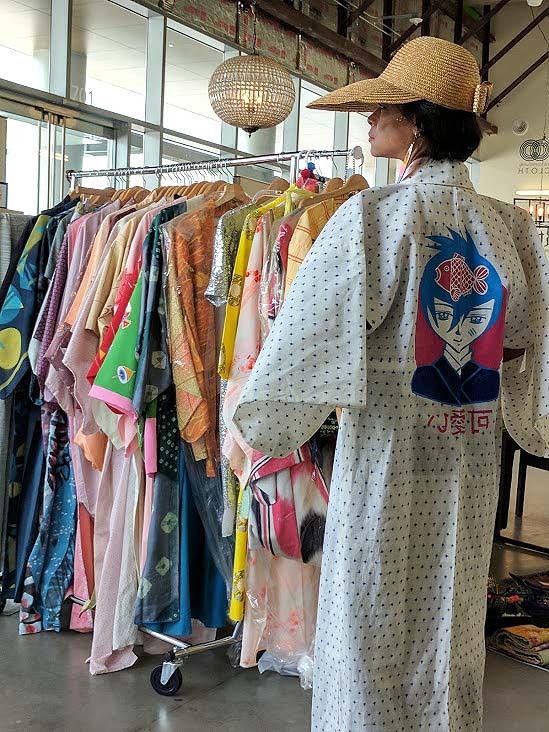 These artists have done anything from screen printing, hand painting, to spray painting their designs on the kimonos; while the fashion designers cut and re-design the kimonos, transforming them into new and sometimes more modern silhouettes. Collaborations to date have included: Selven O’Keef Jarmon, Katsola, Christy Karll, Rene Cruz, Elijah Coccetti, Dandee Warhol, Jennifer Gabiola of Dawning Soul, Royal McGee, Ann Brooks, Mina Gaber, Soi-K, Judy Masliyah of My Flaming Heart….and stay tuned for more! 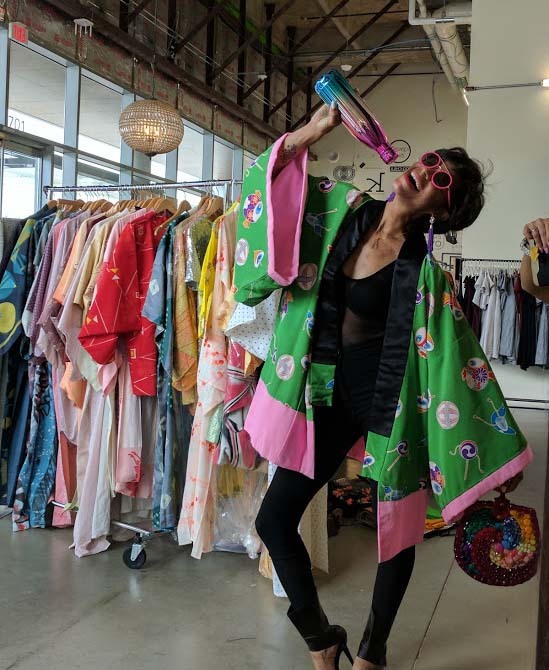 Prices start at $150-$325 for vintage kimonos and $250-$525 for artist collaboration pieces. For more information, visit the brand’s Facebook page, and follow on Instagram. 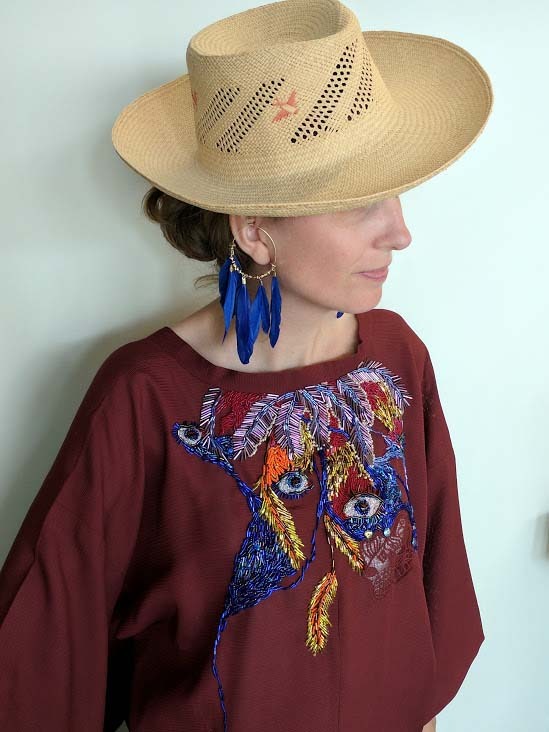 Follow @kimonozulu on Twitter, Instagram and Facebook to find their next trunk show or pop-up! 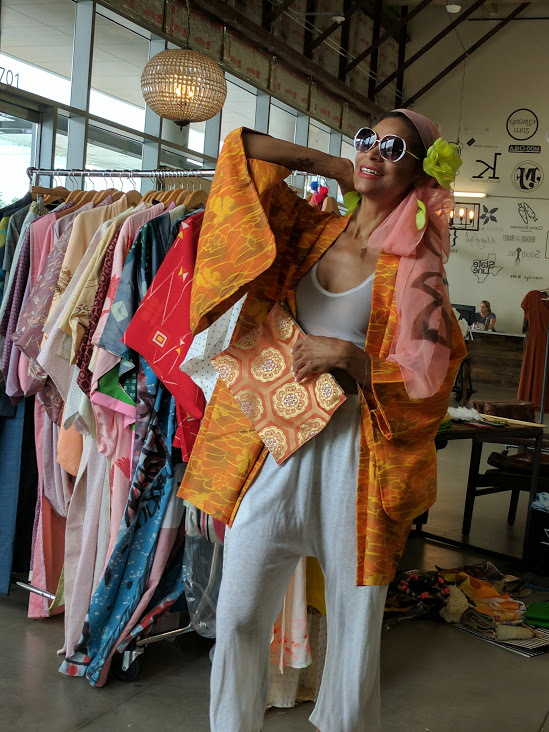 Or schedule a kimono playdate with Tina Zulu, tinazulu@zulucreative.com, 713.581.4788.